Damascus Swords There are 18 products. 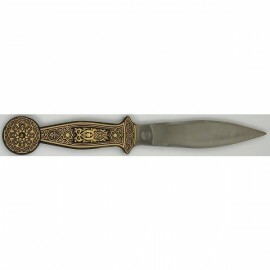 Damascus Charles V Sword Letter Opener. 24K gold. Overall Length: 29 cms - 11 inches. Sword of the Holy Roman emperor. 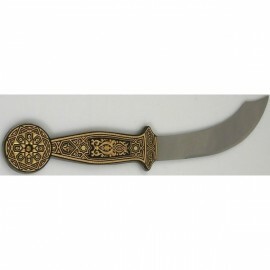 Damascus Boabdil Arabic Sword Letter Opener. 24K gold. Overall Length: 29 cms - 11 inches. Moorish (Arabic) sword of the King of Granada. 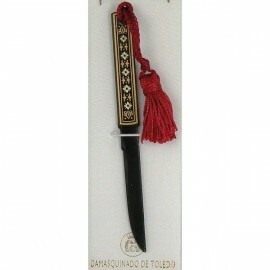 Damascene Templar Sword Letter Opener 5503-2. 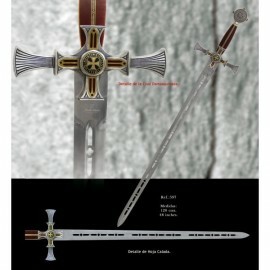 Miniature sword of Knigths Templar. Damascene design. Damascus Templar Sword. 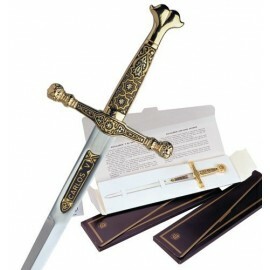 Luxury damascene sword of the Knights Templar. 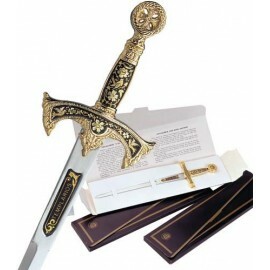 Highly collectible 24K gold decorated templar sword. Templar cross and symbols. 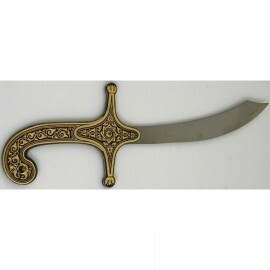 Arabic Saif Sword Letter Opener. 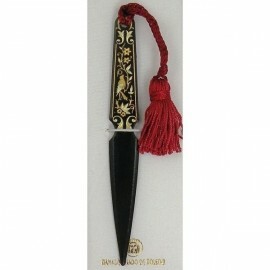 Luxury letter opener with 24K gold damascene design. 8 inches, 21 cms. Beautiful miniature oriental sword. Arabic Dagger Sword Letter Opener with damascene design. 24K gold damascus letter opener. 8 inches, 21 cms. 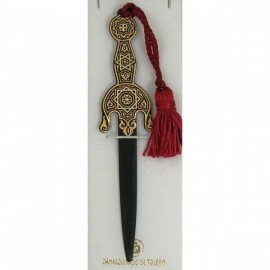 Oriental-Arabic sword letter opener with beautiful Damascene finish. 24K gold damascene design. 21 cms-8 inches. Miniature straight Arabic sword by Midas of Toledo Spain. 24K gold design. True damascene art work. Geometric finish with David Star. Miniature straight Arabic sword by Midas of Toledo Spain. 24K gold design. True damascene art work. Bird finish. Miniature Damascene Bird Letter Opener. 24K gold damascene design with Nature motif. Miniature damascus swords. Miniature Damascene Star Letter Opener. 24K gold damascene design with Star motif. Miniature damascus swords. 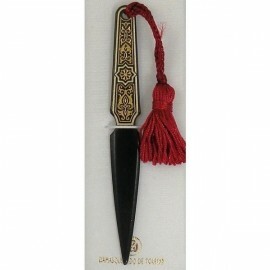 Mini Kozuka Damascene Letter Opener Geometric finish. 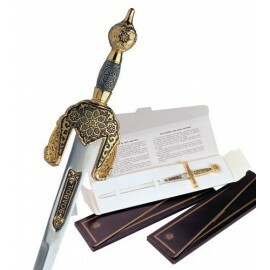 Miniature 24K gold damascus sword for office use. Kozuka-Japanese samurai dagger. Damascene design with GEO design.